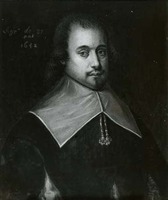 DENYS, NICOLAS, settler, entrepreneur, author, one of the leading figures in Acadia for over half of the 17th century; baptized 2 June 1603 in the parish of Saint-Saturnin, at Tours, France; d. 1688. Nicolas Denys was the son of Jacques Denys de La Thibaudière and Marie Cosnier. He himself stated that he belonged to “a family of engineers.” While little is known of his early years, we can say he received little formal education but became proficient in navigation, the fishing business, lumbering, and administration. In 1632 we find him a merchant at La Rochelle and charged as agent and representative of the Compagnie de la Nouvelle-France with the responsibility of recruiting volunteers and fitting out the expedition being sent to Acadia under the command of Isaac de Razilly to take possession of the country under the terms of the Treaty of Saint-Germain-en-Laye and to endeavour to establish a colony there. The Razilly party, numbering some 300 men in three vessels, arrived at La Hève (near the modern Bridgewater, N.S.) 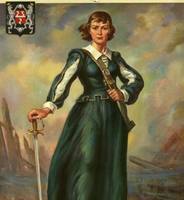 on 8 Sept. 1632. Shortly afterwards, Denys started a sedentary fishing operation at Port Rossignol (now Liverpool). In 1634 Denys received from the commander a grant to a large, heavily wooded area at La Hève and the next year he began cutting white oak in the form of planks and beams for export to France in vessels owned by Razilly, his partner in this first Canadian lumbering venture. Razilly’s death late in 1635 resulted in a severe set-back for the colony generally and Denys in particular. Charles de Menou d’Aulnay, one of Razilly’s lieutenants and his cousin, now assumed full authority and refused Denys permission to export his timber. This and the seizure without compensation of a ship and cargo of cod in a Portuguese port a few months earlier were the first misfortunes in this dauntless man’s life. Indeed misfortune was to plague him continuously and limit sharply any lasting effect he was to have in the development of Acadia. In the face of d’Aulnay’s enmity and the confusion and strife that prevailed, Denys returned to La Rochelle where he again acted as the representative of the Compagnie de la Nouvelle-France. In addition, he arranged his own fishing and trading voyages to the coasts of Newfoundland and the Gulf of St. Lawrence, probably for the most part to the latter. About 1645 he obtained a concession from the company and built a fortified fishing and trading post on the south shore of Miscou Harbour. In addition he had land cleared and crops planted by the colonists he established. However, d’Aulnay by this time held the king’s commission as governor of Acadia and refused to recognize the company’s right to grant this privilege without his concurrence. In 1647 he seized the Miscou post and expelled Denys. Although he agreed to pay for the trade goods and other property seized, this was never done. There is a possibility that following this set-back Denys built a trading post on the Miramichi. We do know, in any case, that on the receipt of the news of d’Aulnay’s death in 1650, Denys went to Cape Breton with his brother, Simon, for the purpose of fishing and trading. 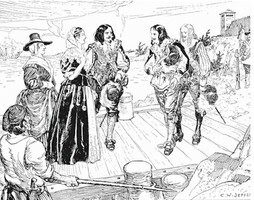 In the fall of 1651, soldiers sent by Mme d’Aulnay [see Motin] captured two posts occupied by the Denys, Saint-Pierre and Sainte-Anne, and took the two Denys as prisoners to Quebec. This seizure cannot have been recognized as legal by authorities there because Denys soon obtained his release and returned to Saint-Pierre. While remaining active there, in 1652 he built another branch at Nipisiguit (Bathurst). But he was not to enjoy this success for long. 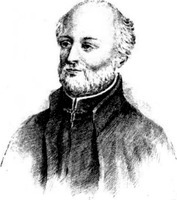 D’Aulnay had died heavily indebted to Emmanuel Le Borgne, a La Rochelle merchant who now claimed d’Aulnay’s rights in Acadia until his claim against the estate was satisfied. In 1653 he ambushed and captured Denys at Saint-Pierre, seized all his goods found there and at Nipisiguit, and took him a prisoner to Port-Royal where Denys was chained and placed in a dungeon. Although he could not save himself, Denys had managed to warn Charles de Saint-Étienne de La Tour, who was able to withstand Le Borgne’s subsequent attack on his fort. On Denys’s release he hastened to France where he lodged a protest, for he claimed his post had been built under a commission from the company. Again, as in his dispute with d’Aulnay over the capture of his property at Miscou, the king ruled in Denys’s favour. No compensation for loss was received, however, although the posts themselves were restored. During this visit to France, Denys late in 1653 purchased from the Compagnie de La Nouvelle-France for 15,000 livres the rights to the coast and islands of the Gulf of St. Lawrence from Cap Canso to Cap des Rosiers on the Gaspé. This vast territory included Cape Breton as well as the Îles de la Madeleine, Île Saint-Jean (Prince Edward Island), and all other islands in the gulf. Shortly afterwards he was appointed governor and lieutenant-general of this territory. Denys now turned to organizing a fishing and trading company to operate within the limits of his grant. Partners with him in the venture were Christophe Fouquet de Chalain and the brothers Jacob and Abraham Duquesne. The new company made annual voyages between 1654 and 1664. Their vessel would leave France at the beginning of May and return in October with cod and furs. On average, 15 sailors, 10 soldiers, and 16 tradesmen made up the party. The cost of each of these trips varied from 12,000 to 15,000 livres, exclusive of salaries. Once this latest business venture was launched, Denys returned to Saint-Pierre and was successful in re-establishing his fishing station and his trade with the Indians, both there and at Nipisiguit, where Jean Bourdon de Romainville was his lieutenant. Saint-Pierre remained his headquarters, and there he fished, traded, did some farming, built several small vessels, and cut timber. About 1659 he built another fishing establishment at Chedabouctou (Guysborough). In addition, he brought in cattle and settlers to fish and work the land. He began growing wheat, and made plans for a flour mill and the making of beer, which he hoped would replace imported wine as a beverage. The following year he dispensed with the services of all soldiers in his employ and moved with his family to Chedabouctou. The fact of the matter is that his fishing and trading company had not been a success. By 1658, his debts in this venture amounted to 51,520 livres. In 1664, he wrote Fouquet, president of the company, that he would not be able to pay off debts that his partners estimated were now close to 100,000 livres. Because of this, avenues of possible financial assistance were closed to him in the future. Meanwhile, things were not going at all well at Chedabouctou. Charles Conigan de Cangé and his lieutenant, La Giraudière, had been located there since 1658. By trickery and misrepresentation they succeeded in having the Compagnie de la Nouvelle-France extend their concession to include Denys’s Chedabouctou post. An armed clash resulted and the conflict persisted for some years until Denys went to France and quickly secured a reaffirmation of his rights in Acadia by a grant issued on 9 Nov. 1667. During the dispute with Cangé, Denys had apparently moved his family back to Saint-Pierre. It was here his checkered career reached one of its lowest points during the winter of 1668–69 when his home and business at Saint-Pierre were completely destroyed by fire. This catastrophe brought him to financial ruin. Already, because of fire, plunder, and war, his business losses had amounted to well over 100,000 livres, a sizable sum for those days. He was forced to move his family to the post he had built at Nipisiguit (now Bathurst, N.B.). It consisted of an 18-foot-high stockade with four bastions enclosing his red sandstone house. Here it was that he turned to yet a new career: that of author. It should be understood that Denys’s most lasting contribution was neither as fisherman-trader nor as promoter of settlement, but rather as the author of Description géographique et historique des costes de l’Amérique septentrionale: avec l’histoire naturelle du païs. Written at Nipisiguit, this work is one of the most valuable accounts of Acadia produced in the 17th century. On its completion, Denys prepared to leave for France to see to its publication because he obviously felt it would focus favourable attention on the country and stimulate settlement here. Before leaving, he appointed his son, Richard Denys de Fronsac, as lieutenant, to be assisted by his mother, Marguerite Lafite. She had married Nicolas Denys on 1 Oct. 1642 in the parish of Sainte-Marguerite, at La Rochelle, and accompanied him to Acadia, where she bore Richard; Marie, who married Michel Leneuf* de La Vallière; and possibly Marguerite, who married Capt. James Forsayth. 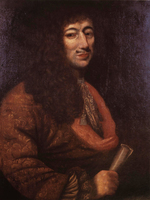 In France, Denys succeeded in having his study published in 1672. It comprised two volumes. The first is devoted to a description of the coastal area of Acadia from the Penobscot to Gaspé and to some of his experiences in this region. The second volume deals with fish and fishing, the natural resources generally of the region, and the Micmac Indians among whom he had lived for 40 years. It carries the title Histoire naturelle des peuples, des animaux, des arbres & plantes de l’Amérique septentrionale, & de ses divers climats: avec une description exacte de la pesche des moluës, tant sur le Grand Banc qu’à la coste; & de tout ce qui s’y pratique de plus particulier. Poorly written, indicating both the author’s lack of literary skill and his poor education, still this book is entertaining and of great value. Denys himself states in its pages: “You will excuse a fisherman. If I had given as much time to study as I have to instructing myself, and to investigating means, for following the Cod, . . . I should have given you more satisfaction in all this account than I have done.” In writing, Denys appears to have made few notes, relying mainly on his recollections at the cost of a number of errors. Yet he provides an invaluable picture of the country and its people, as well as of his own activities and those of such contemporaries as Razilly, d’Aulnay, La Tour, and Le Borgne. His description of the cod-fishery, for instance, has been termed the most complete and authoritative available. Those sections that deal with the other natural resources are, for the most part, remarkably enthusiastic and reflect his unquenchable optimism for the country. When we come to the Indians, he supplies the most satisfactory description that had yet appeared. In all, the book is clearly the product of the man of action, one who has a thorough knowledge of his subject but who lacks the fluency of style necessary to capture the attention of a large body of the reading public. In Denys’s eyes, the book must have seemed largely a failure because it neither cured his financial plight nor aided his efforts to settle Acadia. Yet, with his unbounded confidence in the future of this land, he continued to interest himself in his vast domain, although he apparently remained in France. Of the several families of colonists which Denys had succeeded in bringing to Acadia, few remained. In 1662, for instance, he had only seven families of permanent settlers. Yet, by the terms of his 1653 grant, he had agreed to establish 80 such families. As a result of this failure to settle his lands as called for in his grant, the company from 1663 started issuing grants to part of Denys’s territory, making concessions at Îles de la Madeleine, Chedabouctou, and Percé to others, such as Gautier [see Bergier]. This breaking up of his seigneury was to trouble him deeply during these last years of his life. Even Denys’s natural optimism must have been severely strained by this whittling away of his Acadian domain and by the fact that he was now absolutely without financial resources. We read, for instance, that early in 1685 he was living in beggary in Paris. It was probably in that same year he returned to Acadia to spend his last years at Nipisiguit. Because of his advanced age, it is unlikely that he took much part in business, being content to leave the management to his son. In 1687 the original grant to Nicolas Denys was revoked and on 17 April of that year the right to a large seigneury, “later to be chosen,” was issued. Nicolas Denys died in 1688, in all probability at Nipisiguit. From his own writings and those of contemporary chroniclers we are able to piece together an impression of the man himself. He was blessed with a vigorous constitution, so much so that we gain the impression that he thrived on hardship. Little is known of his physical appearance except that he had a full, white beard which caused many of the Micmacs to refer to him as “La Grande Barbe.” Among these Indians he exerted a strong influence. Tracing his activities, we become aware of an individual endowed with courage and determination, the ability to command, business skill, and confidence in himself. Above all, he had no interest in war and conflict, having “no other aim than to devote myself in my district to my establishment and my business without mixing in the affairs of others.” That he was unusually generous is borne out by the fact that twice he befriended the children of men who had done him ill. Possibly his prime quality was his honesty, a trait of character that is accepted by almost all historians. As a result, we are able to place unusual confidence in his statements concerning Acadia at a time when its development had been brought to a standstill by domestic squabbles and war. A visionary, always striving to transform his dreams into reality, Denys sought to develop a great seigneury on New Brunswick’s north shore. A forceful merchant, fisherman, and pioneer in the work of settlement, this man of astonishing activity clearly dreamed of his lands under cultivation, his ships loading cod and other fish for the European market, and great logs being rafted down the rivers to the sea for shipment to France. Unquestionably, much of this good would have been realized had his plans not been blocked and his financial ruin brought about by war, fire, heavy costs, and ruinous rivalries. What is more, his failure was no worse than that of a half dozen of his contemporaries, among them Le Borgne and d’Aulnay. Had he lived in another era, he might well have succeeded. As it was, none of his posts at Miscou, Nipisiguit, Saint-Pierre, and Chedabouctou became permanent. Yet the very fact that he had established these posts and through his writing made the country better known later encouraged others to come to these places and continue the work of pioneering. He himself observes in his study, “I believe that I have not altogether lost my time, even though it has been thwarted by a thousand misfortunes.” Above all else, he was intimately connected with the material development of the country, a maker of history in Acadia for over half a century. His is the distinction of being the first Acadian author and lumberman, an arresting figure whose remarkable ability and force made him one of the principals in this new land during its infancy. Denys, Description and natural history (Ganong). JR (Thwaites). Mémoires des commissaires, I, 48, 83, 135–37, 147, 154–55; II, 503; IV, 77, 79, 80, 83, 88–100, 118, 135, 147–48, 151, 166–68, 170, 174, 183, 201–2, 206–7, 209–10, 211, 219, 274, 392, 447, 451, 499, 518, 523–33; and Memorials of the English and French commissaries, I, 120, 157, 192–94, 202, 209, 295, 297, 299, 301, 321, 525, 719. René Baudry, “Quelques documents nouveaux sur Nicolas Denys,” RHAF, IX (1955–56), 14–30. Roger Comeau, “Nicolas Denys, pionnier Acadien,” RHAF, IX (1955–56), 31–54. La Morandière, Histoire de la pêche française de la morue, I, 353–54. Robert Le Blant, “Les études historiques sur la colonie française d’Acadie, 1603–1713,” Revue d’Histoire des Colonies, XXXV (1948), 94–102 (mentions all the known texts on Nicolas Denys); “Les compagnies du Cap-Breton, 1629–1647,” RHAF, XVI (1962–63), 81–94. W. I. Morse, Gravestones of Acadie: and other essays on local history, genealogy and parish records of Annapolis County, N.S. (London, 1929). Arch. Départementales d’Indre-et-Loire (Tours, France), “Reg. paroissiaux,” Tours, Saint-Saturnin, 2 juin 1603: archives.cg37.fr/Chercher/REGISTRES_PAROISSIAUX-ABCN.html (consulted 12 Sept. 2012). Arch. en Ligne, Charente-Maritime (La Rochelle, France), “Reg. paroissiaux, pastoraux et d’état civil,” La Rochelle, Sainte-Marguerite, 1er oct. 1642: charente-maritime.fr/CG17/jcms/cg17_34489/les-archives-en-ligne (consulted 23 Feb. 2012). George MacBeath, “DENYS, NICOLAS,” in Dictionary of Canadian Biography, vol. 1, University of Toronto/Université Laval, 2003–, accessed April 20, 2019, http://www.biographi.ca/en/bio/denys_nicolas_1E.html.